Sometime between the 1920 and 1930 census the name was changed from Makimaa to Makima. It has been 40 years since my Dad died on April 27, 1954 in a car accident. He was only 53, Since he never had an obituary in the Ontonagon Herald, I would like him to be remembered now. He grew up in Mass, Michigan and moved to the Detroit area after he and Sisko Elaine Hokkanen of Green, Michigan were married. She died December 30, 1993 at the age of 92. Dad was in the automobile business with General Motors and was transferred to Cincinnati, Ohio, and Cleveland, Ohio, for several years. Later he owned a Plymouth-DeSoto dealership in Flint, Michigan named Makima Motor Sales. After all these years he is still loved and greatly missed by the family. From a picture, it appears that prior to Makima Motor Sales, the dealership was named Makima Hudson Sales. It was located at 1314 Saginaw Street, Flint, Michigan. MASS - Word was received here last week of the death of Enoch E. Makimaa, 53, of Flint, a former resident of Mass. Mr. Makimaa, who owned a garage in Flint and was a car dealer there, was returning from a car dealer's meeting in Detroit when the car he was driving collided head on with a trailer truck. He died soon after at a Flint hospital. Funeral services were held Saturday morning at 11 in Glenn Eden Cemetery, Detroit. The deceased was born in Mass and attended school here. He was married to Miss Sisko Hokkanen of Green, and the family lived in Detroit before moving to Flint. He is survived by his wife, two daughters, Mrs. Shirley Coller and Mrs. Lila Mae Riopelle of Detroit; his father, William Makimaa, who is a patient at Sarepta Rest Home in Republic; two sisters, Mrs. Sylvia Beers, Detroit, Mrs. Emily Vives, Garden City, and one brother, Theodore Makimaa, Detroit. Obituary printed in a Flint, Michigan newspaper. The street name should be spelled Woodslea. MAKIMA - Enoch E. Makima, 1521 W. Woodslee Dr., age 53, died Tuesday, April 27, 1954, at Hurley Hospital. 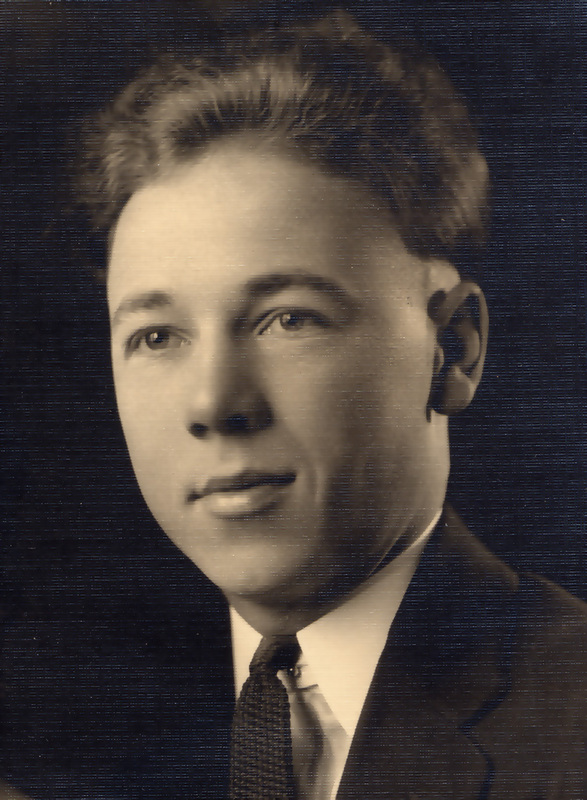 Funeral services will be held at 11 A.M. Saturday, May 1, 1954, from Caldwell Funeral Home, Garden City, Mich. Burial in Glen Eden Lutheran Memorial Park. Body will be at the Algoe-Gundry Co. He was born in Michigan October 14, 1900, had been a resident of Flint for 5 years. He was a member of the Flint Chamber of Commerce; Atlas Valley Country Club and Automobile Dealers Association. Mr. Makima owned and operated Makima Motor Sales since 1949. Surviving are: Wife, Sisko; 2 daughters, Mrs. Mars Riopelle of Detroit, Mrs. Eldon Coller of Oak Park, Mich.; 4 grandchildren; 2 sisters, Mrs. Clarence Beers of Ferndale, Mich., Mrs. Carl Vivis of Detroit; brother, Ted Makima of Detroit. Glen Eden Cemetery is located at 35667 W. Eight Mile Rd., Livonia, Michigan 48152. In 1935 Enoch E. Makimaa was an Auto Salesman for a dealership located in Detroit, Michigan at 5800 Woodward Ave. At the time Enoch and Sisko Makimaa lived at 1600 Seward, Apt. 101. Around 1902, Mass City was a recently revitalized mining "boom town" about 60 miles to the southwest of Calumet. 1. Occupation: Farmer, 1921, Mass City, Ontonagon County, Michigan. 2. Census, 1930, Ferndale, Michigan. His occupation was automobile salesman. 3. Census, 1920, Greenland, Ontonagon, Michigan. Enoch lived at home his parents, a brother and two sisters when he was 19 years old. 4. Place: Mass, Michigan. This is where Enoch Makima was farming in 1921. 5. Place: Ishpeming, Michigan. Enoch Erhardt Makima was born in Ishpeming, Michigan, on September 14, 1900. 6. Occupation: Salesman, 1930, Higgins Chevrolet, Ferndale, Michigan. This information was published in The Daily Tribune 1930 City Directory. The directory covered Royal Oak, Ferndale and adjoining areas. Enoch lived in Mass and Sisko lived in Green when they were married. They were married by Orville H. Hood, Minister of the Gospel.